Norton claims that he can give you access to his Crypto Trade System that is arbitrage trading on cryptocurrencies. It means that it buys cryptos on exchanges with lower prices and sells them on exchanges with higher prices. 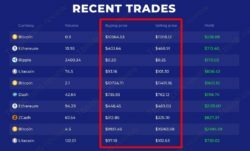 Crypto Trade System can allegedly make you $4840 per day. And the software is free, so do you have anything to lose? Let us make one thing clear, arbitrage opportunities appear regularly, crypto exchanges don’t always have the same prices. But these opportunities are not always easy to take, because you will deal with fees, transaction speeds and market liquidity. But the main thing is that Crypto Trade System is not doing this kind of trading, it is a scam. 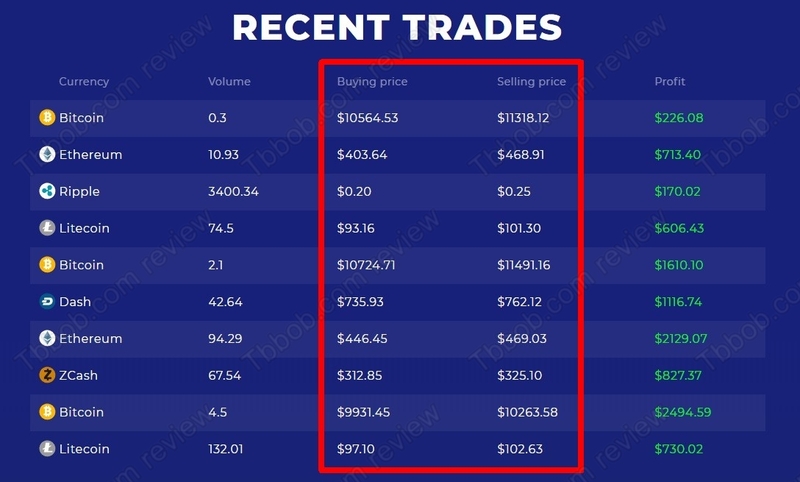 On the Crypto Trade System you will see a table with allegedly recent trading results. But they are fake, because these crypto prices are way different from the actual market prices. For example the price of Ripple is 10 times higher in nowadays reality. So, the table clearly does not show recent results. And while we are at it, you can also be sure that the testimonials are fake too. The stories of people making money with this trading system are completely fake. Norton says that his Crypto Trade System software is special, based on his own ideas and knowledge. But it is a lie. It is based on a software that is also used by other scams. Take a look at our picture and you will see an example, the ICO Moneymaker scam uses the exact same trading app, there is nothing unique about it and it does not do arbitrage trading, as we already said. The truth is that Crypto Trade System has only one aim, which is to make you deposit money with an unregulated broker – TradeInvest90. The reason is that scammers who run this program are paid by this broker for referring new depositors. That’s how it works. This is why they won’t activate the software before your deposit money, they don’t want you to see that it is not working before they get paid their commission. 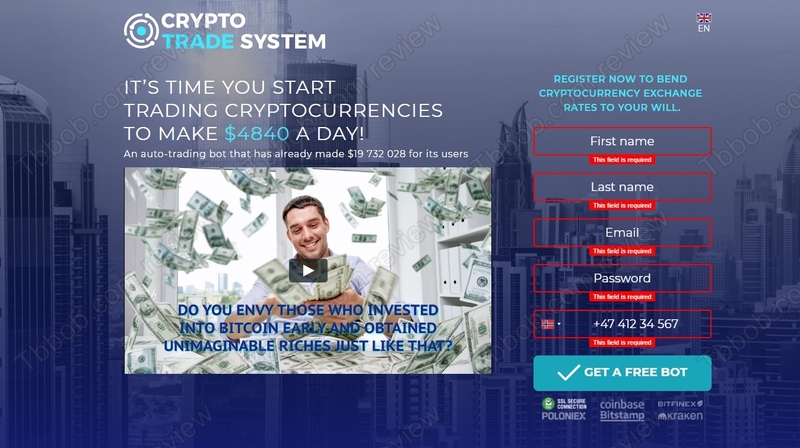 Crypto Trade System is a new scam that is abusing cryptocurrencies. Don’t invest with it, otherwise it will lose your money! If you want to try cryptocurrencies trading for profits, start on a free demo account with a regulated broker. You can start trading with real money only when you fully understand all the risks associated with trading and when you understand how everything works.